Alan Hirsch argues that hyperbolic church growth depends on an understanding of Christians being constant disciples, not simply worshippers, attenders, members or consumers. Here’s my sermon for tomorrow. I’m preaching at another church in the circuit, and I get to kick off a sermon series they are following on the seven signs of a healthy church. ‘Energised By Faith’ is the first of the seven signs. What I’ve prepared is heavily influenced by my recent reading of Alan Hirsch and Michael Frost‘s book ‘The Faith of Leap‘, but I hope I’ve put my own stamp on it. Recently, my wife and children and a friend left me for Beaver Camp one weekend, while I stayed home to take church services. On the Saturday morning that they set out, I expected our daredevil eight-year-old daughter to be excited. But our cautious seven-year-old son was excited, too. “What’s in the programme?” I asked. Out came the list: tug of war, slippery bungee, rifle shooting (with blanks, I hoped), archery, hammock making, inflatable slides, rope bridge building, cooking full English breakfast around a camp fire, barbecue, curry. I was exhausted just listening to them reel it off! “Why are you asking?” they interrogated me. “Because I want to talk about it soon in a sermon,” I replied. “Because I want to talk about how following Jesus is meant to be an exciting adventure,” I told them. Put that attitude down to, well … attitude, but don’t miss the fact that many perceive church and faith as boring. It was never meant to be. I went on to talk with my children about how in the Bible faith in Jesus was an exciting and dangerous adventure. But that isn’t what we often notice in our churches. And in a week when I kick off your sermon series about the seven characteristics of healthy churches with the first of those characteristics, ‘Energised by faith’, would we not think that associating the word ‘faith’ with ‘energised’ might mean that faith is rather more dynamic than it often is? Honestly, what do we make of it when we listen time after time to hearing that someone in our church had a ‘quiet faith’? If that means peaceful and serene, then fine, but if it means their faith never got in the way of someone else and led to energy or even conflict, then something is desperately wrong. Think back to our Bible readings this morning: when Paul commends the faith of the Thessalonians, it involves imitating him, even in facing persecution, and becoming an example to other churches in the region. It involves their faith being known here, there and everywhere, not least for their rejection of idols in order to serve Christ. Is that ‘quiet faith’? And when the disciples ask Jesus, “Lord, increase our faith”, and Jesus replies, talking about mustard seed faith that can tell a mulberry tree to be uprooted and planted in the sea, is that quiet faith? No! Whatever the text means, we can be sure Jesus doesn’t lead his disciples into growing quiet faith. These two passages aren’t untypical of the New Testament. Jesus calls men to leave their occupations and follow him at the drop of a hat, just as God told Abram to leave everything and go somewhere unspecific in the Old Testament. When you get to the Book of Acts and you see the apostolic church putting into practice the Great Commission of Jesus, you see daring and courageous faith exhibited by Paul, Peter, Stephen, Philip and others. By that reckoning, we should stop a lot of the silly talk in our churches that says someone is ‘faithful’ when all we mean is that they are ‘regular’. Anyone who knows me for any length of time will hear me quote time and again something the late John Wimber said. Let me ask you this: how do you spell ‘faith’? Whenever anyone replied by saying, F-A-I-T-H, Wimber would say, “No”. The answer, he said, is that ‘faith’ is spelt R-I-S-K. Faith as an adventure, a living on the edge, is normal. But you wouldn’t guess it from some of our churches, and I wonder whether the lack of it has contributed to our decline. Could it be that churches are declining, at least in part, because we have lost the daring, risky side of discipleship that is fundamental to faith in Jesus? David Murrow is a television producer in the United States. He got bored with his Christian faith, and started exploring other religions, including Islam. He noticed that Christianity was the only major religion to have a major deficit of males in comparison to females. He wondered whether this might have anything to do with his boredom. At the risk of grossly over-simplifying things, he discovered the work of an historian who showed that while there had been a seven-hundred-year history of reduced adventure in the Church, a major effect on this was the Industrial Revolution. By and large, as the men had to find work in mines, mills and factories, often far from home, the women who stayed behind rightly kept the notions of gentleness and nurturing. This showed itself in the rise of church nurseries, craft groups, Sunday Schools, soup kitchens and the like – all worthy and honourable things. However, with the men less able to contribute, the sense of adventure declined. In time, it became a vicious circle. Now before anyone complains, I am not saying that all men are of the same style and all women are alike. The irony of me preaching this is that I am someone who was born with scoliosis, curvature of the spine, and this has affected what physical efforts I can make all my life. I of all people would not argue for a ‘macho’ culture in the church. It does exist in places, and it can be ugly. But you and I know that many men outside the church view it as like a lifeboat – ‘women and children first’. If we have downplayed adventure and risk, which are at the heart of the faith to which Jesus calls us, is it any surprise? Might it be, then, that in order for the church to be ‘energised by faith’, one thing we urgently need to rediscover is this sense of living on the edge? Could it be that faith for us needs to be something where what we aspire to do can only be delivered by God, and if God doesn’t come through, we’re sunk? Could it be that too often what we call faith is really ordinary human action that is explicable in other ways, and we don’t like to admit it? Now you will say to me that the church needs to be a safe place, never mind all this talk of danger and risk, and I will agree with you – up to a point. We do need to be a safe place for the broken and the wounded. In that sense, we are a little like the spiritual equivalent of a hospital. But just as hospitals aim to treat people so they can return to ordinary life and not spend their whole lives on a ward, so our aim is the healing of people in order that they might return to the action. It may be worth remembering the exchange in ‘The Lion, the Witch and the Wardrobe’ that the children have with Mr and Mrs Beaver when they first hear about Aslan, the lion, who serves as the Christ figure. “Then he isn’t safe?” asked Lucy. And of course the Narnia novels, along with that other great twentieth century Christian fantasy series, The Lord of the Rings, depict faith as an epic adventure. Can Narnia be rescued from permanent winter under the White Witch? 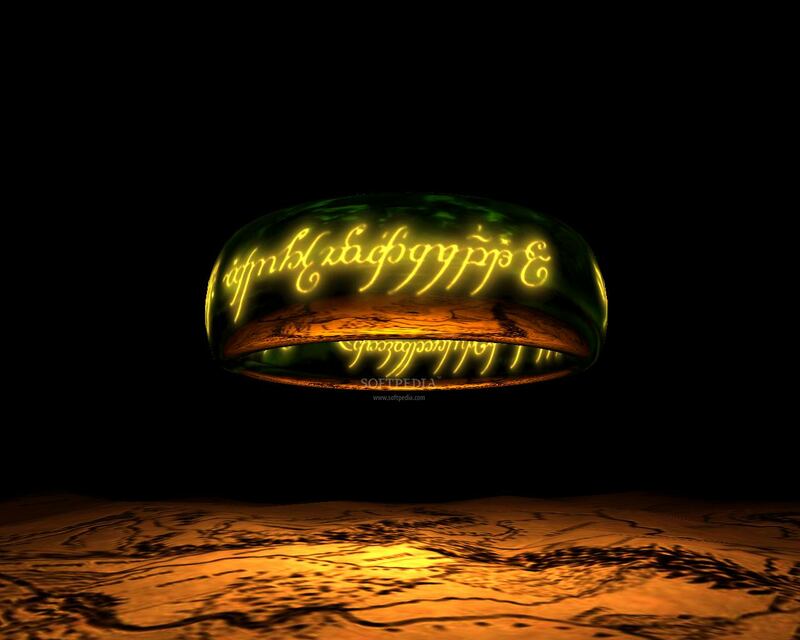 Can Frodo and his friends dispatch the ring with its terrible curse and defeat Sauron and all the armies of wickedness? How will they cope with Gollum, who cannot be trusted as he vacillates between good and evil? What C S Lewis and J R R Tolkien describe in those stories is an experience of fellowship being deepened as people go out on a limb in daring faith. It is something that has been observed through other disciplines, not just literature or theology. Those who study human society in anthropology and sociology have noticed this, too. Now I can give you the long words if you really want them – they are ‘liminality’ and ‘communitas’ – but what it all comes down to is this: when a small group of Christians gets together to work on a mission project that puts them out beyond their comfort zones, they are pulled together into a much deeper sense of fellowship than they experience in any other form. The home group doesn’t compare. Certainly coffee after morning service doesn’t amount to much fellowship, compared with what these people experience as they forge new frontiers in the name of Christ. Here is just one example of what I mean. It’s an experience I had in my first circuit as a minister. An elder at the local United Reformed Church had a vision to bring the teenagers of the churches in the town together for worship. This wasn’t too difficult. Representatives of most of the churches came together to form a planning group, and we started holding youth services every six weeks, going around various local churches, taking over their evening services. However, youth services like that were altogether too safe and predictable. The teenagers needed something more credible, and relevant to their culture. We found an empty shop in town, and borrowed it for a very low rent from the landlord while he looked for new tenants. It was the days of the MTV Unplugged programmes and CDs, and we did ‘worship unplugged’, only having room for a simple acoustic set-up in the cramped shop. But more young people were coming, and we reluctantly went back into church premises. We took over the URC church hall and decorated it appropriately. However, the teenage Christians wanted to be able to invite their non-Christian friends, and we were crowded for space. As we leaders talked, we realised there was only one viable option: we would need to move into the local night club. One of our number, a businessman, approached the owner of the night club. He was willing to hire out to us, one Sunday night a month, and agreed that no alcohol would be served on those nights. However, the cost of renting the club was well beyond any level of finance we had ever raised for the project. What should we do? We were out of our depth. As we talked, we concluded that God had always been stretching us that bit beyond what we had got used to each time. This was surely one more example of the same. We agreed to the night club owner’s terms, not knowing where the money would come from. But when we did, some wealthy local Christians backed us financially, and we never lacked the money to hire the club. Is it any surprise that as a group of Christians, we experienced deep fellowship, deeper than the average Bible Study group? We did read the Bible and pray together – fervently! We also hung out together, eating pizza, watching videos and drinking non-Methodist liquids. We helped one couple move house. We babysat. We picked each other up when we were down – in my case, they rallied round when I had a broken engagement. Most of those things would happen to some extent in ordinary church fellowship, I know, but I can only testify that they were deeper in that group. To this day, I have never known better friends than the members of that group, and I miss them terribly. Friends, could God be calling you to go beyond the boundaries of what you have done for him in faith before? Believe me, if you are willing to live on a knife edge for Christ by faith because he has called you, then every aspect of church life – worship, community, discipleship and mission – will be infused with an energy you have not known before. Trinity Methodist Church: is God calling you to dive in at the deep end? Mark Easton reports on the BBC this morning about the launch of the Action For Happiness Project. Naturally, this interests me from a religious perspective. Its ten pledges make no reference to God, which leave it doomed to failure in an important sense for me, although it rightly emphasises doing things for others as a source of happiness. Nevertheless, aiming for my own happiness is like looking for the pot of gold at the end of the rainbow. You won’t find it by seeking it. However, it’s interesting to note that one of the founders, Labour economist Professor Richard Layard, says the project is important because organised religion has failed to turn back the “tide of narrow individualism”. And that’s a criticism I think we should listen to in the Church. Has that happened because we simply have not persuaded people of the virtues of the Gospel? Or is it more about us failing to embody an adequate Gospel? So – there’s the challenge for the Church: to be a community, not a silo. Having finished my summaries of The Starfish And The Spider yesterday, I spent much of this morning dividing them into natural sections. It turned out that meant eight. I uploaded the first one, and to my surprise got a comment from none other than the Tall Skinny Kiwi himself, Andrew Jones. Many will know Andrew as the doyen of Christian blogging and an engaging, irenic voice in the missional world. He is a scholar and a gent to take the trouble to pass by this obscure backwater blog and leave a comment. I’m sure he doesn’t see it that way, but I felt honoured. By the way, numbers two to eight in the Starfish series will appear over the next week, one a day, scheduled to appear at 9:00 am each day. There’s not much reading I can do to prepare for my week at Cliff College next week. Over the years, I’ve read several titles on the reading list for the unit and am going along for stimulation and edification. The weather forecast remains a concern, especially with heavy snow still predicted for the Peak District on Sunday, when I am due to travel. Conditions have eased around here now, but major roads in this region and others on the way that I would be using still look ominous. The M1 for a start. Since I’m auditing this course at Cliff courtesy of a kind anonymous bursary, I have it in mind to ask if I can switch to another course if I can’t make next week. Right now it doesn’t look promising, but there speaks one with the spiritual gift of pessimism. I have, however, been gathering material ready for my trip later in the month to Trinity College, Bristol, where I shall be spending a week with Anglican ordinands and other students looking at personality type and ministry. Down from the shelf has come ‘Knowing Me, Knowing You‘ (no, not by Alan Partridge) by Malcolm Goldsmith and Martin Wharton. The subtitle is, ‘Exploring Personality Type and Temperament’. It’s based on the Myers Briggs Type Indicator, which is being used on the course. I’m armed with the knowledge that I’m INTP. I also dug out a birthday present from about three years ago. My sister, who is an Occupational Therapist at a hospice, had been on an Enneagram course with the hospice chaplain. She bought me Richard Rohr‘s book ‘The Enneagram: A Christian Perspective‘. Once I knew I wanted to explore this theme during a sabbatical, it seemed right to put it aside until then. While hunting for something else, I found the Grove booklet ‘Personality and Renewal‘ by William Kay. I’m flicking through that. The something else was another Grove booklet I’ve been trying to find ever since we moved here three and a half years ago. Something always goes missing. It’s ‘Personality and the Practice of Ministry‘ by Leslie Francis and Mandy Robbins. Based not on Myers Briggs, Enneagram or anything else, Francis and Robbins use Hans Eysenck‘s personality test based on extraversion, neuroticism and psychoticism. I ended up paying to download the e-book version in PDF format, which seemed less wasteful, in the vain hope my original hard copy might turn up one day. Extraversion (27%) low which suggests you are very reclusive, quiet, unassertive, and private. Neuroticism (77%) high which suggests you are very worrying, insecure, emotional, and anxious. Psychoticism (33%) moderately low which suggests you are, at times, overly kind natured, trusting, and helpful at the expense of your own individual development (martyr complex). One other good thing today. The post is returning to normal here (shame about the refuse collections). That meant the arrival of Mike Frost and Alan Hirsch‘s new book ‘ReJesus: A Wild Messiah for a Missional Church‘. I put it on pre-order with Amazon the moment I knew about it. Today is a good day. Except for the fact that I paid £10.44 and it’s now £8.53. Here is what I have found in the last week of touring the Internet. Not as much as previous weeks – you’ll see I’ve struggled to publish much of substance in recent days, apart from the Damaris videos. Anyway, I think these are all worthwhile – a mixture of theological and techie stuff. Is the missional approach to church good or not? Helen Lee surveys the question of missional shift or drift. A superb Paul Vallely article from The Independent lays out the different perspectives lucidly back in October: Religion vs science: can the divide between God and rationality be reconciled? Ruth Haley Barton describes Advent as training in waiting. After four years of blogging, Brother Maynard has discovered a new God. Whoopee, John and Olive Drane are blogging together. Alan Hirsch is putting the adventure back into the venture. Google’s advice for bloggers. Looks like I’d better drop the style of one-word post titles I’ve been pursuing in recent weeks! TechRepublic has ten classic clueless-user stories: entertainment for the geeky among you.